Sammie turned 8 years old on Sunday, April 1st. 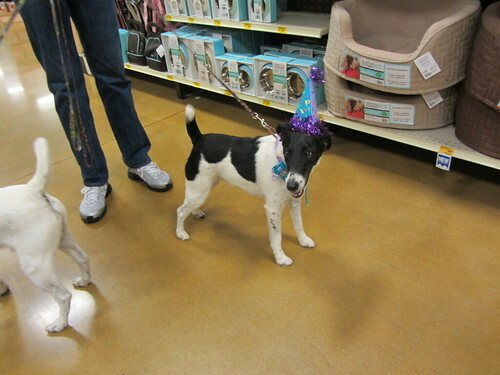 We celebrated by going to Petsmart and getting some treats and new toys! 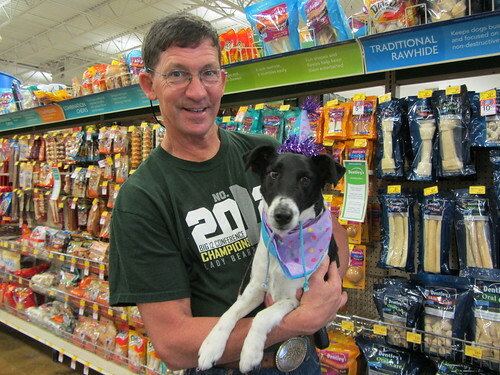 We put the birthday hat and bandana on her and she got extra special attention from all the folks at Petsmart! Posted in Family, terrier "terrors" | Comments Off on Happy Birthday Sammie! !